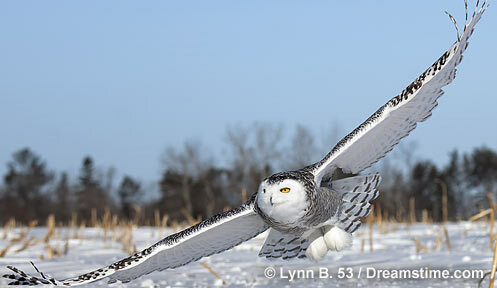 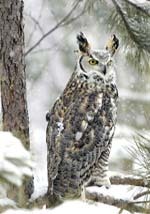 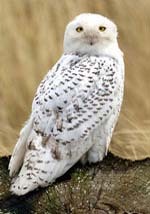 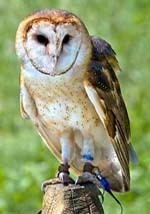 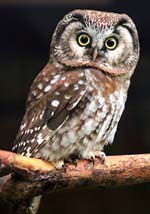 There are 11 species of owls that may be seen in New Hampshire. 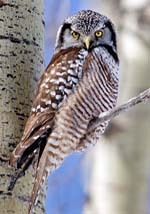 Some are year round residents while others are seasonal visitors. 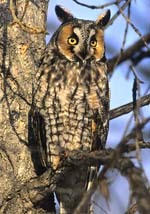 They range in size from 8" to 33” tall and have wingspans ranging from 19" to 60” and can be found throughout the state. 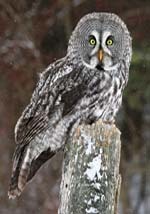 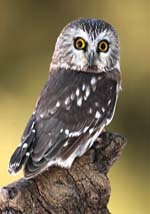 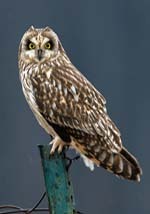 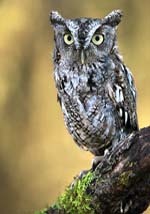 Usually difficult to find due to their nocturnal nature, seeing an owl in New Hampshire is often an exciting experience. 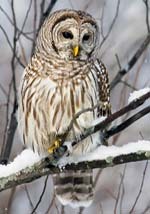 Check out this article by Alfred Maley of Hampstead, NH on building Low-Maintenance Barred Owl Nest Boxes If you have any questions about the boxes, feel free to contact Al by email.